Protecting your family’s financial security is vitally important, regardless of where you live. As an expatriate, life assurance is even more important because you may need to build some additional flexibility into your plans and, most importantly, existing policies must be verified as applicable to your new country of residence. The Spectrum IFA Group’s professional advisers can help you with an assessment of your life assurance needs in order to provide future financial security for your family in the event of a tragedy. Business partnership and key man insurance products are also available. Inheritance tax planning for business partners and family members left behind can often be provided for by a simple life cover policy. 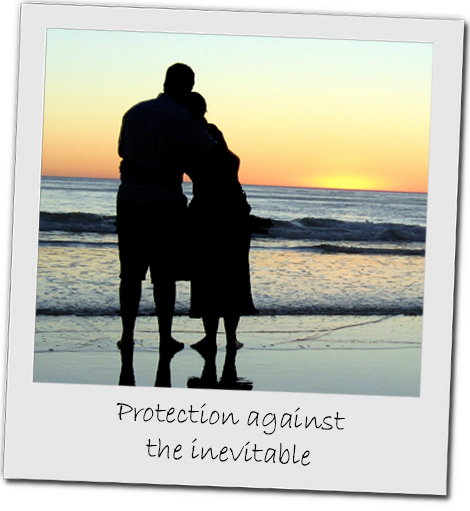 Whether you wish to insure a single life or lives jointly, we can help you to find the right product to provide a lump sum payment that will meet your specific needs. Simple life cover is often inexpensive. Your age, the number of years you want cover for and the amount of cover all affects the premium. However, as independent financial advisers we will review the market and recommend the most cost effective and also the most suitable cover for you. Your adviser will continue to monitor your life assurance requirements as part of the ongoing service that he/she will provide. A regular review of your personal circumstances will be provided at a confidential meeting with your own adviser. So if your circumstances change, such as the arrival of another child, your adviser will help with the reassessment of your life cover needs. The arrival of a windfall or inheritance or your children becoming financially independent might mean that your life cover needs are lower, allowing you to reduce the amount of cover required. No-one wants to contemplate death or incapacity but making sure the people you care about are financially secure is a responsibility that we all take seriously.